Hello all of you again! I am sure keeping up my posting goals, which is pretty good! My longest new years resolution that I've kept going. So today I have another different post for you all. 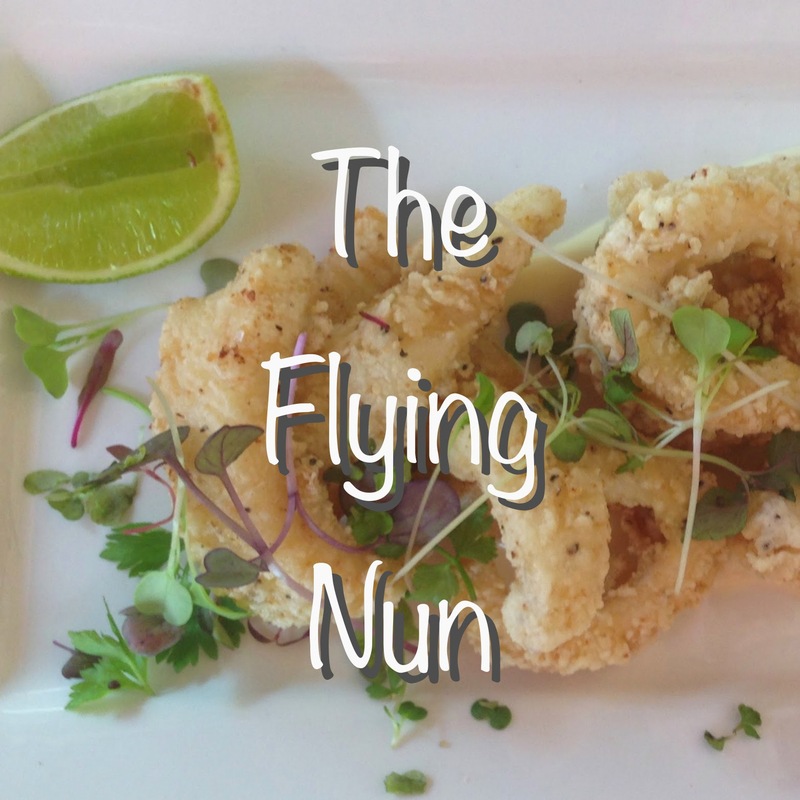 With my tafe studies, I have Friday's off and last Friday I spent it with my mum, and we drove to Samford, where there is a little cafe called 'The Flying Nun' which is situated in an old church. My mum and I both chose to eat the Lemon and Pepper Calamari meal, which was around $15. The atmosphere in the cafe was quiet, and the music being played was different, with mixtures of old and new music. The service wasn't the best, but the happiness of some of them made up for the awkward conversations with a few of the workers. When our meal eventually came to our table, it looked great. The layout of the plate was clean and had a contemporary style. The lime was a perfect addition to the calamari and really tied the meal together. There was only a few things wrong with the dish. The calamari needed a bit more cooking, and a little less oil. It was a bit doughy, and had a very noticeable amount of oil layer on top of the meat. Other than the need of more cooking and less oil, the meal was very enjoyable. Some of the staff do however need to work on their social skills, which would 100% make me feel a little more at home in the cafe. It is a great little cafe to go to for a small meal, and has a very cute boutique next to it, even though it was of course out of my student price range.